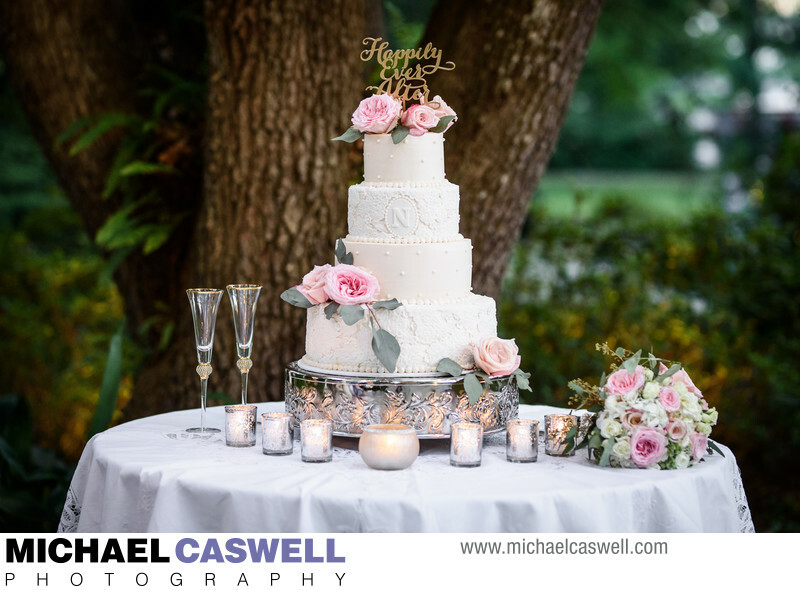 This wonderful couple’s wedding ceremony and reception were both held at Vintage Court in Covington, Louisiana. We started out with coverage of the bride getting ready at the family's home in Pearl River, where after getting into her dress she also had an emotional first look with her father, before heading over to Vintage Court, where the couple shared a beautiful first look, which enabled us to get all of our formal group photographs done before the ceremony, as well as some portraits of the bride and groom. 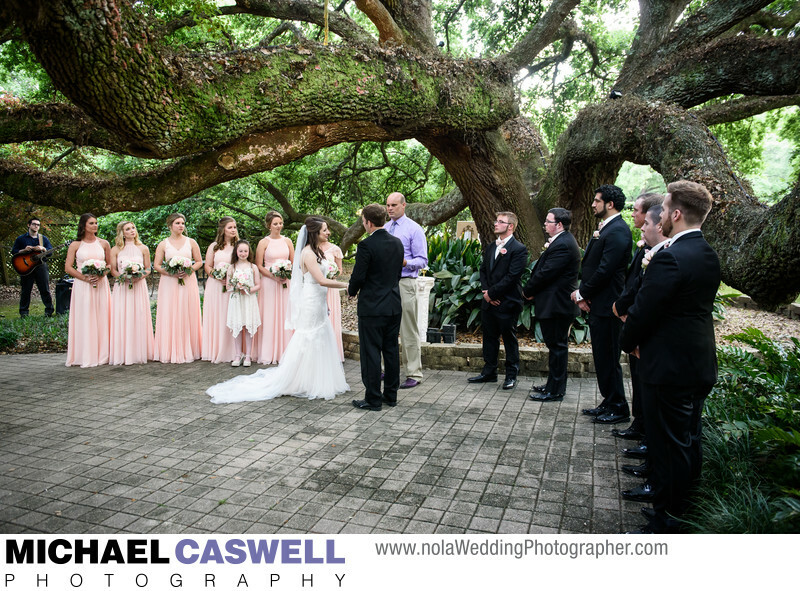 The wedding ceremony, officiated by John Wondergem, was held on Vintage Court brick-paved patio in front of the instantly recognizable massive and sprawling oak tree that the venue is so well-known for. This tree is massive and gorgeous, and makes for a particularly impressive background for a ceremony. 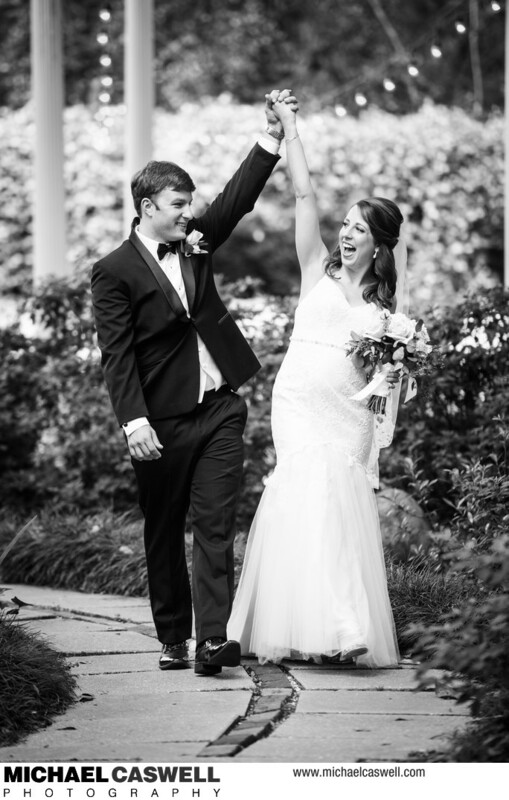 Their April wedding date had perfect weatjer for outdoor reception, which took place on the other side of the venue, with entertainment provided by DJ Sierra Collins. Tanya Mohler and Elaine Prest created the beautiful cake and flowers, respectively. 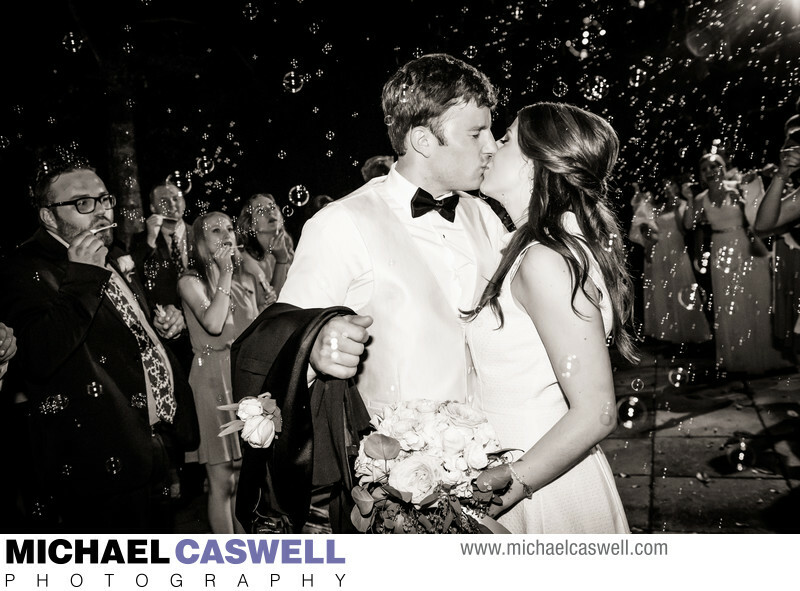 At the end of the night, the couple was given a fabulous send-off through a shower of bubbles! The history of this property on the northshore dates back to the late 1800s as St. Gertrude Convent, founded by Benedictine nuns. It now serves as Vintage Court, a beautiful and unique wedding and event venue that features both indoor and outdoor event space, with distinctive architecture and a beautiful natural setting. 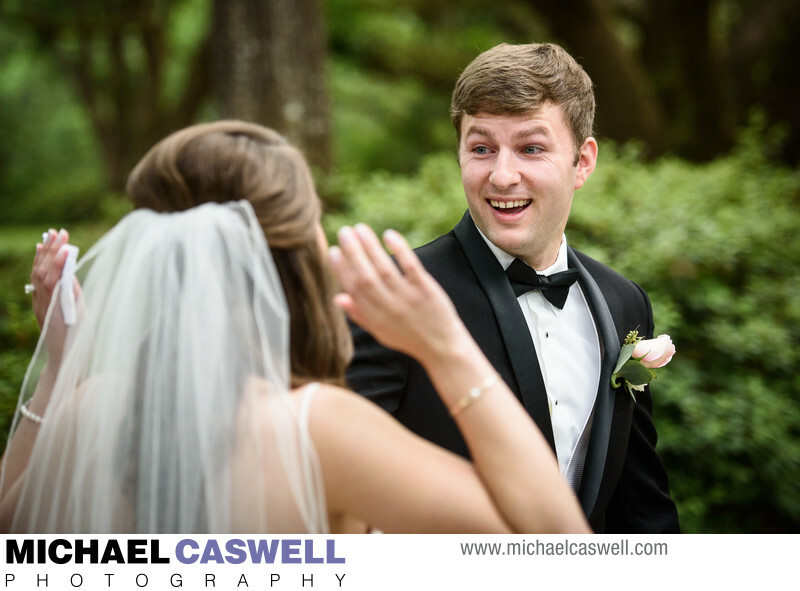 While New Orleans wedding venues may get more of the attention, the northshore has some amazing venues of its own, such as the Fleur de Lis Event Center, The Greystone, Annadele's Plantation, the Southern Hotel, and the Abita Quail Farm. Location: 75082 LA-25, Covington, LA 70435.